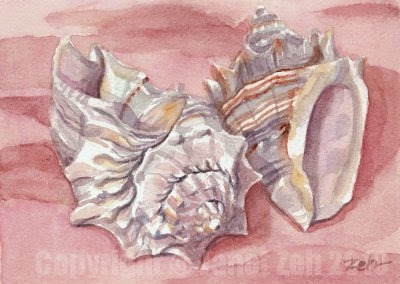 Thinking of warm places...here are some conch shells lying in pink tropical sand! This painting has been sold. You can see artwork for sale at my website, zehoriginalart.com or my Etsy shop, Zehland.Etsy.com. Thanks and have a lovely day! The choices of colours are fantastic and they look very real!